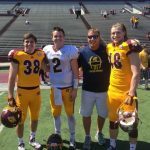 3 former DeWitt Panthers suited up for CMU’s Spring game. 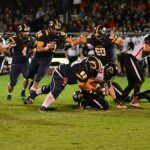 Quarterback Jake Johnson led his Gold team to victory 21-7. Justice Shankel-safety and Chris Ruby-corner also played–Go Fire Up Chips!!! 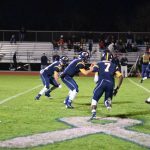 Multiple Teams · Oct 18 Heartbreaking loss for DeWitt Football in the UP. What a night. A perfect all evening, trees showing their color, senior cheer team and football players recognized before the game, the induction of the 2015 Athletic Hall of Fame class and a football game. 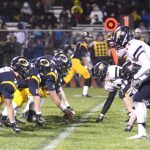 The DeWitt Panthers won their 10th consecutive conference championship Friday night with a 49-21 trouncing of the St. Johns Redwings. 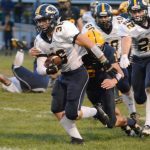 Multiple Teams · Sep 28 This week starts a rugged four game stretch for DeWitt Football. 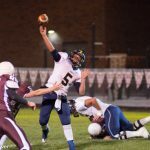 Thursday, September 24, 2015 6:30 PM Owosso High School AWAY 12 DeWitt High School HOME 46 Game Recap Slow start for DeWitt with strong finsh for the win.